I started my day off with an Orange Raspberry Banana Smoothie, and I have to say that it was just okay - not the best smoothie that I've ever made! 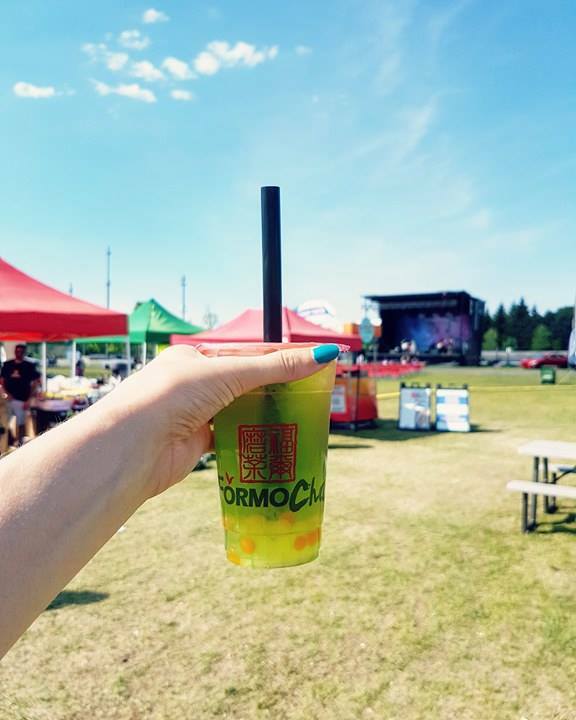 We decided to go to Lansdowne to check out the Farmer's Market and Asian Fest, so I didn't have a proper lunch - just a weird combination of drinks and snacks. 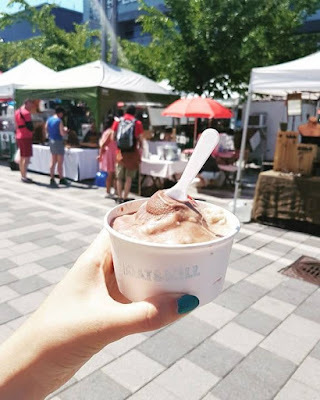 First, we stopped by the Oat & Mill stand at the Lansdowne Farmer's Market, and I tried their Chocolate Covered Strawberry & Vanilla flavour. Dylan tried their Orange with Dark Chocolate Chunk, and both flavours were delicious! Oat & Mill is an Ottawa based company, and they make their ice creams from oats! At Asian Fest Dylan and I got a few drinks, because it was crazy hot out, and we didn't feel like eating anything. 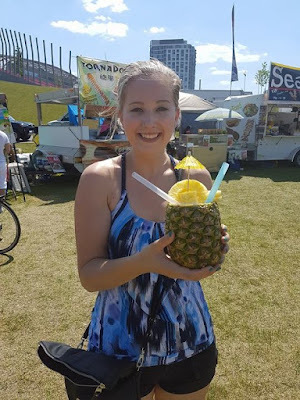 We started off with a pineapple slushie served in a pineapple! We then decided to try bubble tea for the first time! The tapioca bubbles never really appealed to me, but I figured that Asian Fest was a good time to finally see what all of the hype was about. We tried out FormoCha Bubble Tea, and started off with the passion tea flavour, and then tried the green apple flavour, and finally went back for another passion tea. That's right, 3 bubble teas! After Asian Fest, I wasn't super hungry, even though we really didn't eat that much at all. So for dinner I just made a quick quesadilla using Gusta's Vegan Grating Block & black bean and corn salsa. So that rounds out another vegan food diary! It was a bit of a weird day food-wise, but I loved everything that I ate and drank nonetheless! I hope you'll check back next Tuesday to check out another food diary. What foods have you been loving lately?